DEARBORN, Mich. -- From many points at TPC Michigan, on the horizon over the trees, you can see the Ford World Headquarters Building, as well as the Detroit Lions indoor training facility and numerous other smaller offices. TPC Michigan is a scenic escape just minutes from Ford World Headquarters in Dearborn, Mich. So it's no accident this prestigious metro Detroit golf course set on 175 prime acres is ripe for corporate play. In fact, membership at Michigan's only TPC club is roughly 80 percent corporate. And these members enjoy a Jack Nicklaus design that's major-tournament worthy and boasts facilities that ooze TPC posh, complete with a 28,000-square-foot clubhouse and even a two-story locker room. Formerly host to the Ford Senior Players Championship through 2006, TPC Michigan doesn't have a current big stage to shine on, but still remains one of southeast Michigan's most coveted plays not named Oakland Hills Country Club. TPC Michigan is private but it's not as private as, say, Oakland Hills to the north. Corporate members can sponsor guests without having to play with them. A handful of the corporate members are area hotels, including the Hyatt Regency in Dearborn, Motor City Casino and MGM Grand. Each is allowed to send up to eight golfers per day, and they offer stay-and-play packages. None of these properties outwardly promote this offer since supply is so limited, so booking in advance is highly recommended. For golfers who are part of the Heritage Golf Group or TPC Network, both of which offer national membership programs, you have privileges here as well. Lastly, if you belong to a home club, you can have your pro call the pro shop and ask for reciprocal playing privileges. 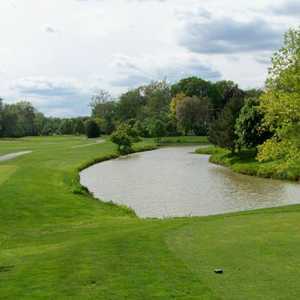 So is the TPC Michigan worth the hoops one has to jump through to play it? Opened in 1990, the golf course is Jack Nicklaus' earlier-phase design style, which isn't easy. Greens are on the smaller side and difficult to hit as they're usually oddly shaped and can present some difficult pin locations. And if you miss to the wrong spot, double bogeys are far more likely than par. The course plays 7,057 yards from the championship tees, which is plenty given the course's many small targets and tall grasses that line so many holes. There are some chances to be aggressive, however. On TPC Michigan's front nine, there's even a drivable par 4 depending on conditions, the second of back-to-back short par 4s. And the par 5s are all reachable in two for long hitters -- but with these opportunities lurk plenty of water. The golf course still plays largely similar to its design during the Senior Tour Championship staged here through 2006, though staff say the rough is generally kept at a lower level, but can still be gnarly after a little rain. Greens remain quick at an average of 10.5. Perhaps the most overlooked aspect of the golf course is that despite being in the shadow of such heavy industry, it's actually very scenic and quiet in many spots. 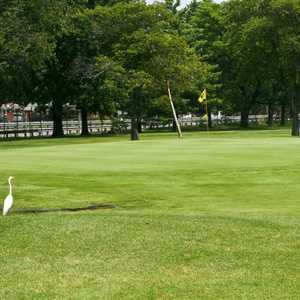 It's Michigan's first certified National Audubon Society golf course, and it feels as such, with a surprising amount of wildlife. This is most notable on a stretch of holes down the back nine, including the tough-but-peaceful 14th hole, which features native wetlands down the entire left-hand side. A few homes line some holes, mostly on the front nine, but others are all golf on either side. 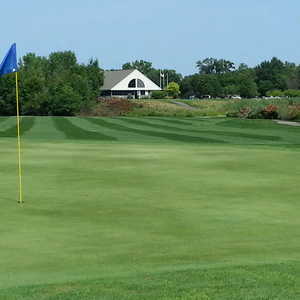 Designed and routed for tour events, the course is an easy walk, and members do so often. Just a few minutes away and in view from many spots on the course is the Hyatt Regency, a sleek, postmodern building that's home to 772 guest rooms. It also offers a limited supply of golf packages on the TPC. The rotunda top is home to a private ballroom offering 360-degree views of all things Ford, like the test track surrounding the hotel. The hotel especially caters to business travelers with plenty of meeting spaces, plus on-site transportation and concierge services. New amenities in the guest rooms include new grand beds and iPod docking stations so you can play your own tunes. For recreation off the course, there is a fitness center, free-form pool, sauna and hot tub, while you're also just a walk across the parking lot to the Fairlane Town Center shopping mall.